Michaelmas Daisy (Aster amellus) – Calling all Angels! Feel angel wings wrapped around you, reassuring you that you are protected and loved. Facilitates communication from your God Self with your conscious mind and physical body. Engenders compassionate communication with your self and others. I Am protected, loved and communicate compassionately. 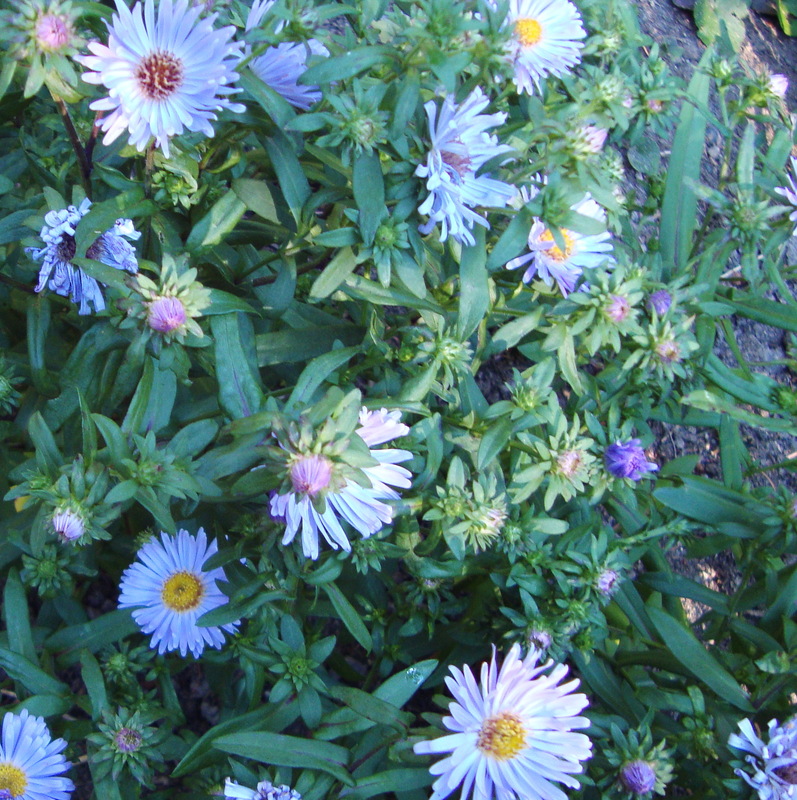 Michaelmas Daisy is a native European aster that is now a garden favorite in North America. This lilac-colored aster blooms in the late summer and through early fall. It is named after Michaelmas, the September 29th holiday that honors Archangel Michael. Michaelmas Daisy is pollinated by bees, butterflies and moths and is a food plant for the larvae of many butterflies. Use Michaelmas Daisy Flower Essence when you feel cut off from your angels and your higher consciousness, when you need reassurance that you are safe and loved. Helpful when you are having difficulty talking compassionately with your self or others. Michaelmas Daisy Flower Essence aligns your heart, mind and consciousness, which supports clearer communication with your Higher Self and your angels. Like sensing angel wings wrapped around you, Michaelmas Daisy Essence instills a sense of peaceful calm and helps you feel protected and loved. It carries a comforting tone that encourages you to speak more compassionately to your self and to others. Michaelmas Daisy Flower Essence was made by the no-pick method of working directly with the plant spirit. While the essence was being made a matrix of Amber, Amethyst, Angelite, Blue Kyanite, Drusy Quartz, Icosahedron Cut Quartz, Jeffrey Quartz, Rhodochrosite, and Silver Topaz crystals were placed among the plants with the mother bottles. The sun acts as a transformer to step down spiritual energies from higher dimensions. While the essence was being made, Amber acted as a lens to receive and focus sunlight for this purpose. Amethyst brings peace and contentment. It enhances clear communication between your mental, physical and emotional bodies and between the physical and spiritual worlds, while translating those communications into daily activities. Angelite is a stone of tranquility that invokes inner peace. It connects you with your angels and spiritually aligned guides. Blue Kyanite gently opens and enhances your communication with higher sources. Drusy Quartz crystals help to energize and stabilize your subtle bodies. Icosahedron cut quartz has 20 (5X4) equilateral sides. It is a bridge between the 5th Dimension - the entry into the unified Spiritual realms - and the 4 cardinal directions (N, S, E, W) on Earth. Jeffrey Quartz provides strong amplification properties and long distance healing abilities. Rhodochrosite instills a courageous heart; it gently aids with healing past wounds, rediscovering self-love and embracing joy. Silver Topaz (AKA White Topaz) works through the crown and etheric chakras to accelerate your ability to be a conscious co-creator of your life, expressing the highest vibration of Spirit in all that you do. The actions of the crystals inform the way this flower essence seats into the body-mind.